Spokesmama: Only Children: Is Extended Family Becoming Obsolete? Only Children: Is Extended Family Becoming Obsolete? I grew up with two sisters & for my teen years, my family lived in the same neighbourhood as two of my cousins. When I started thinking seriously about having children, I assumed I'd have two because I wanted my children to have the chance at the great sibling relationship I've had. My husband, on the other hand, grew up an only child. He lived in the same city as a few of his cousins, but he only had a close relationship with one of them. I would never say having just one child is selfish. I know many parents who've struggled very hard just to have one & you never know what someone's reasons are for not having another one. However, I recently realized what it could mean if everyone had just one child (besides the obvious population drop) in terms of family relationships. Because there are no only children in my family tree (at least in the last four or five generations), it means that I have aunts, uncles, & tons of cousins. Think about it for a minute: if every couple had just one child, that child would grow up without siblings. When that generation of only children grew up & had just one child per couple, they would have no aunts & uncles, no cousins. Imagine having no one else in your family who was the same generation as you. Maybe this isn't such a strange idea for you, if you aren't close to your extended family. Perhaps you don't have any cousins or they live too far away, or your families don't get along. To me, though, it seems like this might be a major cultural shift.We've already seen a change in the West over the last couple centuries from extended families being together to the nuclear family becoming the standard unit. Imagine going further to the three-person nuclear family. I really think there's a basic human need to have a village around you & without having any siblings, cousins, aunts or uncles, you'd need to fill the gaps with friends. But it's just not the same--the connection, at least in my experience, is never as strong as family. Thoughtful post; thank you, Lisa! My first child, the oldest of her siblings & cousins, was married last weekend. All came in from across the USA for the wedding and WOW! I can only describe the connection as mysterious, organic, and beautiful <3 No, I don't believe the extended is obsolete, it just takes work, time, and energy to connect across the miles...and is WORTH IT! Hi Lisa - I totally connected with this post. In fact, the extended family is one of my favourite topics. I grew up surrounded by cousins, aunts, uncles, grandparents AND my grandparents' siblings and THEIR children and grandchildren. And my cousins are always the first people I turn to to share good news and for support. We grew up as siblings, really. I have two kids who don't have first cousins and family get togethers revolve mostly around birthdays (when I was growing up they were practically weekly occurrences). My husband and I are constantly talking about the good ole days and hope to be able to give our children that same feeling of being a part of something much larger, in whatever way we can. Thanks for sharing this post! Like Angie said above, it does take some work to get everyone connected. I do think it's worth the energy though. That said, I'm not close to all my cousins/aunts/uncles & sometimes I feel like Sprout hardly knows his, even though they're not that far away. It's still early days yet & I think he's likely got a few cousins yet to be born, so who knows what the future will hold? For us it's more that we want to stay in the city, and it's simply not affordable for us to have two kids - the cost of daycare alone would be crippling. Also, my mom was 1 of 5, and my dad was 1 of 7. Once their parents passed, the families splintered, and now no one talks to anyone anymore; they probably would have estranged themselves sooner, but no one wanted to upset the parents. I wouldn't recognize most of my cousins if I passed them on the street. I am close with one aunt, but that's it. I also have a sister that I don't get along with - we haven't spoken in years. So from our perspective, just having the one means that we can really focus on the relationship with him, and give him the life we wish we had. He has cousins on Spouse's side, and we think that's enough. I think to a certain extent we make our own families out of the people we care about, so while Toddler doesn't get genetic aunts and uncles from my side, he gets a whole bunch of adopted "aunts" and "uncles" in the form of my friends, some of whom are now starting to have kids of their own - and "cousins" for Toddler! - as well. Really what I was thinking about when I wrote this post was a hypothetical future where NOBODY has siblings. Though that's not so hypothetical in China. I'd really love to see some sociological research on the impact that a couple of generations of the one-child policy might be having on the country. I know it's already skewed the gender balance--but what other impacts might there be? Why does daycare have to be so expensive?! That's an astonishing number. I consider moving to Montreal every time I cut the cheque for Toddler's care. I have thought about this a lot myself too. I grew up in an Italian family with a very close extended family. Every major holiday was a grand celebration with plenty of cousins playing cards, games, and eating amazing dinners. I feel a little sad that my own son will not have these experiences as my brothers-in-law and brother have elected not to have children with their partners/spouses. As a result, I think we are now starting new traditions and looking to our friends with children to be surrogate cousins. This seems to be a common story with many Vancouverites who can't afford a large house in the city. I'm at least glad my son will have a sibling in the fall so he will have someone to relate to and fingers crossed rely on in the future when we are old and gray! Ooh, congrats, Gina! When are you due? This is a fantastic topic and post - thanks Lisa! I was always jealous of my friends who had large extended, local families, since my parents both emigrated to Canada and their families are all over the world, so we were never together other than every few years for a wedding or whatever. I would love to have a third baby, but the expense is pretty much the limiting factor - not just daycare, but clothes! food! camp fees! educations! 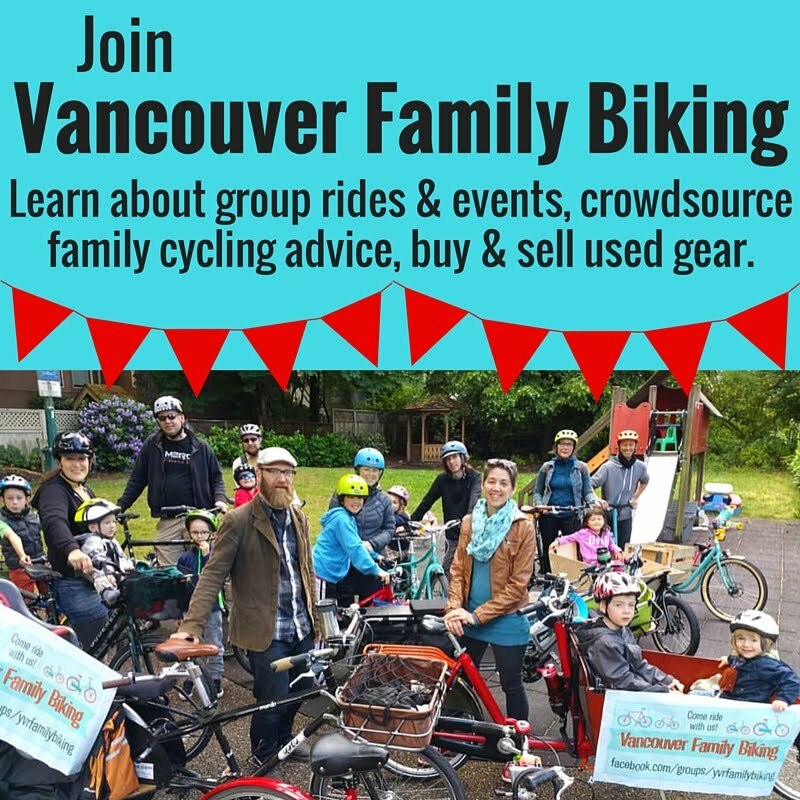 bigger vehicle (we are just not a car-free family, partly because both of our jobs require us to have cars and drive during the work day)! vacation costs! etc. It makes me sad that something like money should be a contributing factor to the family size decision. I have one sister, and we are on and off close, and I've always wished for more. My husband has four older siblings but they are all much older and far-flung, so my kids' cousins are men in their late 20s, not exactly fodder for close relationships! Anyway thanks again, and this is probably a topic worthy of a few posts if you're looking for ideas down the road! Thanks, Eva. You're right--immigration is definitely a factor for a lot of families. Geography is a tough one, because travelling with kids really ain't easy & flying with them--gah! REALLY expensive. 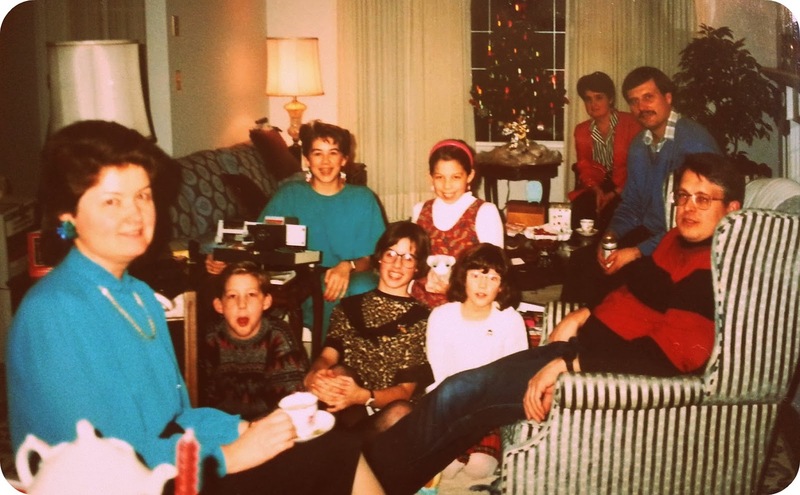 Though pretty much ALL of my family is in BC, I spent the first decade & a bit of my life on the other side of the province, so we didn't see the cousins in the above photo more than two or three times a year until we moved to the coast in '86. & the money issue... yeah, that's a whole post unto itself. I'll have to write about that one later! Well, I'm going to be the dissenting voice here (of a sort), I guess. I have an only child -- and she was always envisioned as an only child, and not (just) because having multiple children in Vancouver is basically unaffordable (that just reinforces it). Even back in the days where I thought we were going to live in an affordable city, one child was all that was ever in the cards. I get along well with my sister now and we're close; my husband and his brother are not close. But honestly, I don't let the fact that I have a sibling colour my view of family. Family is whatever you make of it. For example: I have an aunt and uncle on my mom's side (and no mother, after she died at 34), both of whom refuse to help out with my grandparents, who've never been anything but supportive of their children and my family (before and after my mom died). My father and my aunt (in law) have been far more helpful and devoted to my grandparents than either of their remaining blood children. My life would be so much better if I didn't have to spend days trying to locate the aunt who ran out on my grandparents the moment my grandfather started having some physical and mental trouble and was going downhill, then didn't bother to call over the ensuing three months (and also can't keep an apartment and a phone number for more than a few months). And I accept that, though we have jobs in Vancouver (well, my husband does; my job really isn't here but I've been lucky enough to work from home so far), my daughter will have to go far away to have a job. There's no way to advance in your career in Vancouver, unless you want to work for the province. So we will not live close to her when she leaves home, at least until we retire. These days, and in this part of the country, mobility is key if you have a fulfilling career. (But hey, as an only child she's lucky, because we will never be torn on whether to retire close to her or to another sibling.) So to succeed these days, you have to know how to build your own village. The village is what ever you make it out to be. I agree that a village is necessary -- and it's easier if your village is 23 aunts and uncles and cousins all in your town, ready to babysit whenever because they're related to you. But it's not necessary. I grew up without any aunts and uncles on my dad's side (he was an only) but I had plenty of great-aunts and -uncles and second cousins we're close to. I grew up with aunts and uncles on my mom's side that I don't want to be close to. And throughout my life we've had good friends we've stayed close to. We choose our village, and in some ways, that's better (though not easier). I appreciate your perspective. You're totally right--having siblings is no guaranteed you'll actually like them. I agree that having just one child is the right choice for many parents. I too have quite a lot of cousins & extended family that I don't really know at all, due to distance, age difference &/or our families just not really connecting. I realize I'm lucky in having a few other ones that I do like & that live close to me. Most of them don't live close enough or have enough time to actually babysit very often though--definitely not just whenever. We have a mix of friends & family in our 'village'.